ARG is governed by an Executive Committee comprised of all Senior Scientists, the Scientific Director, Administrative Services Manager, and two other elected scientists who serve as at-large members. The Scientific Director is appointed by the committee to serve a renewable two-year term. Members represent the breadth of research interests, administrative knowledge and leadership experience necessary to ensure the mission, strategic direction and goals of the organization are met. All staff are encouraged to participate on a variety of sub committees that advise the Executive Committee. 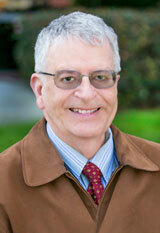 Thomas K. Greenfield, PhD, is the Scientific Director, Chair of the Executive Committee and Senior Scientist. He also co-directs the National Alcohol Survey (NAS) Resources Core with Katherine Karriker-Jaffe. In addition, Greenfield serves as a clinical faculty member of the clinical services research training program at the University of California San Francisco’s department of psychiatry. Greenfield received his PhD in clinical psychology from The University of Michigan, Ann Arbor. He conducted research for eight years at Washington State University, and then served as Associate Director for Research at the Marin Institute for the Prevention of Alcohol and Other Drug Problems before coming to ARG. He has served as vice president and secretary of the Kettil Bruun Society for Social and Epidemiological Study of Alcohol. For NIAAA he served on the Initial Review Group on Health Services Research (AA2) and served on the Extramural Advisory Board. In November 2008 he received the ATOD Section of the American Public Health Association’s Leadership Award, and also serves on the Governing Council of APHA. With regard to research, he oversees the Center’s 5-year National Alcohol Surveys (NAS) and serves as Principal Investigator for several grants associated with the NAS. Greenfield’s other research interests include: the epidemiology of alcohol use and problems, alcohol policy studies, consumer satisfaction, drinking patterns and mortality, and services research. Cheryl J. Cherpitel, Dr.PH, Senior Scientist at ARG, an adjunct professor at the University of California at Berkeley’s School of Public Health, and Director of the World Health Organization Collaboration Centre on Alcohol Epidemiology and Injury. Between November 2004 and 2008 she served on NIAAA’s National Advisory Council. In addition, she has served as a consultant for the National Institutes of Health, the World Health Organization, and the Pan American Health Organization. She has also served on the Initial Review Group of the NIAAA’s Clinical and Treatment Subcommittee. Dr. Cherpitel’s research areas of interest include: alcohol-related casualties and violence-related injuries in emergency room (ER) populations internationally; the validity of self-reported alcohol consumption based on breathalyzer readings in the ER; and screening for alcohol problems in health care settings and in the general population. Cherpitel holds a bachelor’s in nursing from the University of California at San Francisco and a doctorate in epidemiology from the University of California at Berkeley’s School of Public Health. 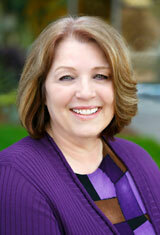 Debbie Gill is the Manager of Administrative Services and has worked at ARG since 2000. 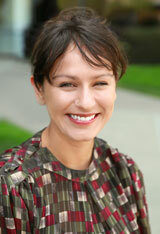 She is the administrative liaison to ARG’s parent organization, the Public Health Institute. She is responsible for direct oversight of the ARG Front Office, Library and IT departments, manages facility operations, and site HR functions. She is a member of ARG’s Executive, Policy and Space committees. Debbie’s previous experience included working in administrative support positions in elementary and college institutions. She worked for the Contra Costa Community College District in the San Francisco Bay Area for 6 years from 1980-1986. 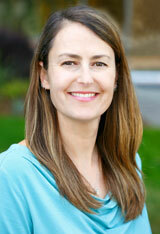 Prior to starting her work at ARG she worked 12 years for the Santa Rita Union School District in Monterey County. She was executive assistant to both the District and Assistant Superintendents. Katherine Karriker-Jaffe, PhD, is a Senior Scientist at ARG, where her work focuses on the contribution of the social context to alcohol and other drug use, misuse, social consequences and dependence. Dr. Karriker-Jaffe received her doctorate from the School of Public Health at the University of North Carolina at Chapel Hill, and then completed a three-year post-doctoral research fellowship with ARG. Her current and recent NIH-funded projects include: A subcontract on a study to examine neighborhood, peer and family (including genetic) influences on alcohol use disorders using population registry data from Sweden; another study to develop and test a socioecological model of relapse and recovery from alcohol problems to describe how neighborhood, social network and individual factors independently and interactively predict relapse and recovery from AUDs in a longitudinal sample of heavy and dependent drinkers; and a prior study which examined moderated and mediated neighborhood effects on alcohol outcomes using data from the 2000 and 2005 U.S. National Alcohol Surveys (NAS) conducted by ARG. 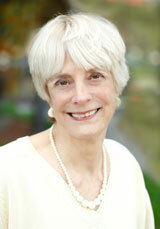 She currently co-directs the U.S. National Alcohol Survey Resources Core with Thomas K. Greenfield. William Kerr, PhD, is a Senior Scientist and Director of ARG’s National Alcohol Research Center. 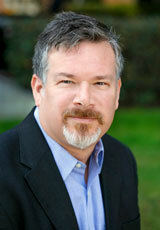 Dr. Kerr received his Ph.D. in economics from the University of California-Davis (1997). From 1997 to 2001 Dr. Kerr served as the Project Director of the Collaborative Alcohol Related Longitudinal Project in the Department of Social & Behavioral Sciences at UCSF before joining ARG. He is recognized for his studies of alcohol measurement methods, age-period-cohort studies on drinking pattern trends, and mortality studies. He conducted detailed studies of home and bar drinks in the 2006-10 Center’s Methodological Studies Component and is leading analyses on trends, subjective impairment, injury risk and other topics in the current Center’s Epidemiological Analyses of the NAS component. He is currently the PI of multiple NIH funded R01 grants including a study of the privatization of the Washington state liquor monopoly in 2012, which will also investigate the impacts of marijuana legalization, and a study of life-course alcohol use patterns and health outcomes, which builds on his program of alcohol-related health outcome studies emphasizing the importance of detailed alcohol pattern measurement. He also is a collaborator on a number of other grants including a study examining the impact of the 2008-9 recession on alcohol-related suicides and disparities in such effects. Dr. Kerr is an Assistant Editor of Addiction, serves on the editorial board of Contemporary Drug Problems and on the National Alcohol Beverage Control Association (NABCA) Public Health Advisory Board. Amy Mericle, PhD, is a Scientist who focuses on addiction health services research, highlighting the gaps in the substance use treatment delivery system and examining innovative approaches to increase access to and improve the quality and availability of substance use treatment and recovery support services. She completed graduate studies at the University of Michigan and the University of Chicago as well as post-doctoral studies at the University of California, San Francisco. In addition to leading her own studies and collaborating with other ARG Scientists on theirs, she also serves on the PHI IRB and the Board of Directors for the National Alliance for Recovery Residences. Meenakshi Sabina Subbaraman, PhD, is a member of ARG’s biostatistics core. Her primary research interests are methods for determining mechanisms of action, the intersection of cannabis and alcohol co-use, and treatment for alcohol use disorders. She has contributed to dozens of NIAAA-funded studies, and currently acts as Biostatistician on several projects related to cannabis and alcohol policies. Dr. Subbaraman is also the primary investigator of an NIAAA-funded study aiming to examine how cannabis use affects alcohol treatment outcomes. She completed her MS in statistics at Stanford University, PhD in epidemiology at UC Berkeley, and postdoctoral studies at both UC Berkeley and Brown University. Dr. Subbaraman received the first-ever “Methodological Advances from the Next Generation of Epidemiologists” award from Society for Epidemiologic Research for her dissertation work. 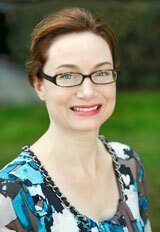 Sarah E. Zemore, PhD, is Associate Director, Co-Director of Training, and Senior Scientist. She is Dual Principal Investigator of the NIAAA Training Grant “Graduate Research Training on Alcohol Problems” at the School of Public Health, University of California (UC) Berkeley, as well as Associate Adjunct Professor in the same department at UC Berkeley, where she teaches. She currently serves on the Initial Review Group on Epidemiology, Prevention, & Behavior Research (AA-2) at NIAAA, and was a recipient of an NIAAA Loan Repayment Award. Dr. Zemore has led and collaborated on several large NIAAA-funded grants addressing her research interests, which concern 1) health disparities (and especially race/ethnicity, socioeconomic stress, and gender in relation to alcohol use, problems, and treatment) and 2) treatment seeking and efficacy (with a focus on mutual help groups and peer helping). She has been particularly active in mentorship and training at ARG. 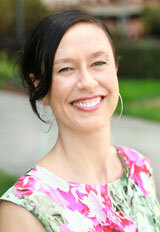 Dr. Zemore received her Ph.D. in Social Psychology from the University of Massachusetts, Amherst.